Stunning aquamarine waters lie peacefully underneath vast cloudless skies while your ship is moored offshore in sight of a beautiful sun-drenched cove. On one side, the warm glistening water reflects the sun, darkening as it approaches the horizon far away, while on the other, a small group of your fellow passengers take a small boat to the nearby cove which sits fringed by an empty white beach and backed by lush forestry and a rocky mountainside that makes it almost entirely unreachable from land. Complete bliss. Piqued your interest? 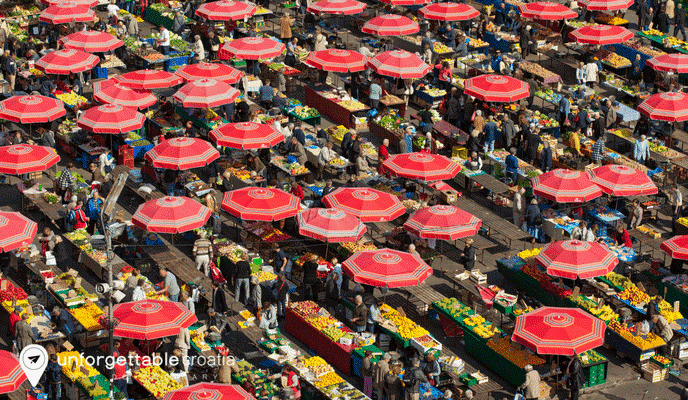 Then read on for our top 5 reasons why Croatia is the perfect small ship cruise destination. Croatia may well be one of Europe’s most popular beach destinations – but it’s cities like UNESCO-listed Dubrovnik that clings to the Dalmatian coastline, and the hilltop Motovun where ancient Roman relics keep watch over the winding Mirna River, that really steal the show. 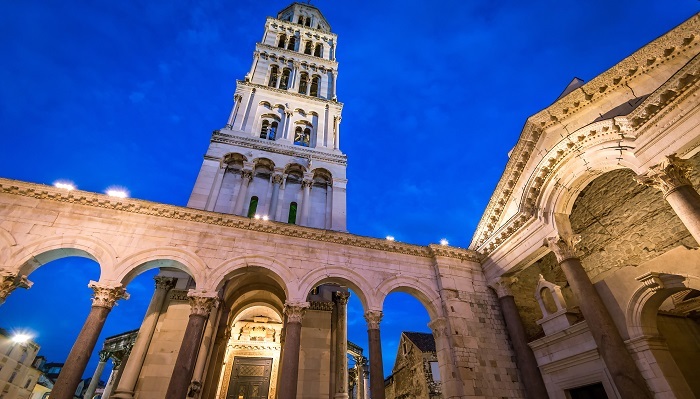 Architecture buffs will adore the twisting cobbled alleyways of the old towns in Trogir, Rovinj and Dubrovnik, while those in search of a more cosmopolitan edge will fall in love with the chic harbour of Hvar and the decadent nightlife in Split. On a small ship cruise in Croatia you’ll be travelling with just a small selection of fellow guests from as little as 30 to 40 like-minded passengers. 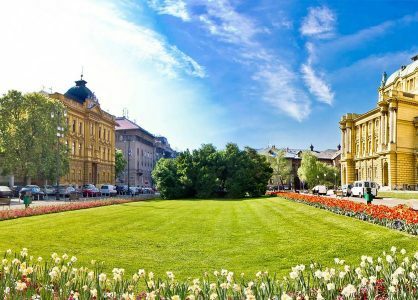 You’ll be travelling with people from different countries and backgrounds but of course everyone will be bound by their love for travel, adventure and Croatia! Of course the beaches that encircle more than a thousand Croatian islands and cling to the coastline of the mainland are just as mesmerising as any city. 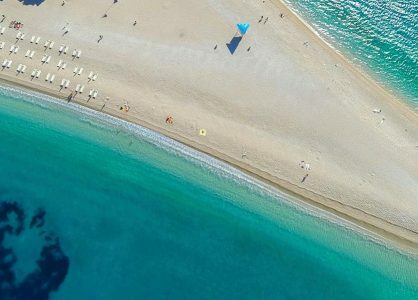 But whether you’re anchored close to one of Dalmatia’s many harbours watching the hillside cities fade to silent embers in the night sky, or swimming the azure waters that cling to the uninhabited islands of the Brijuni archipelago – you’ll find that small ship cruises are a perfect way to explore Croatia’s islands. You’ll be able to weigh anchor and stop for swim spots close to lost island bays that are only accessible form the water, indulge in romantic dinners while watching the sunset over the Paklinski islands and explore the stunning terrain of the Kornati archipelago’s 150 islands that boast deep caves, rugged cliffs and stark rock formations whose distinct white colours are offset beautifully by the deep tranquil blues of the Adriatic. Speaking of the Adriatic. The waters of Croatia are absolutely perfect for swimming. Whether you’re searching for a crystal clear cove pinched to perfection by millions of years of corrosion, a white pebbly beach with every modern convenience or a paradisiacal jewel-like islet where just you and your fellow passengers are swimming under an idyllic Croatian sunset – you’ll find it all on a small ship cruise to Croatia. 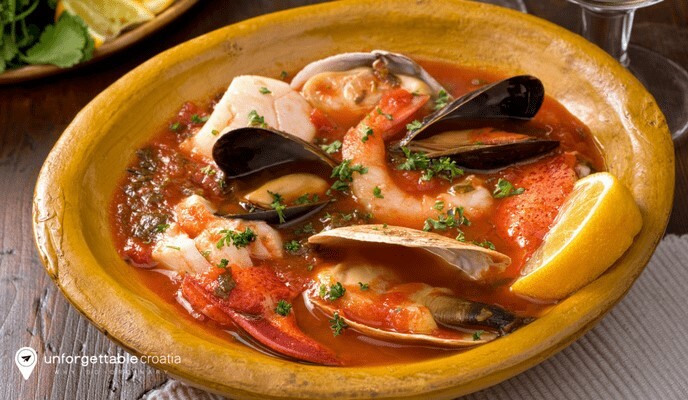 Croatian food embodies the most delicious flavours of Mediterranean, Italian, Greek and early Roman cuisines. Expect beautiful seafood dishes filled with grilled calamari, salted cod and colourful octopus salads, decadent stews such as Goulash, spicy fish stews and meaty cabbage stews, and indulgent pasta dishes such as Gnocci, Istrian Fuzi and Dalmatian favourite Šporki makaruli – which is a traditional pasta dish that comes filled with cinnamon flavoured meat sauce. All absolutely delicious! 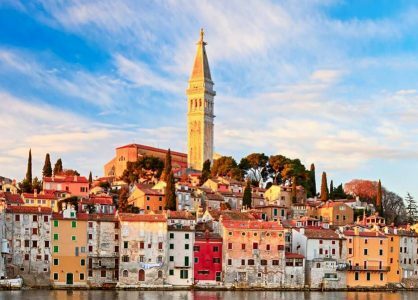 Unforgettable Croatia offers a wide selection of small ship Cruises to many of Croatia’s most loved islands and destinations – including 7 day cruises from Dubrovnik to Split and 7 Night cruises of Northern Dalmatia. 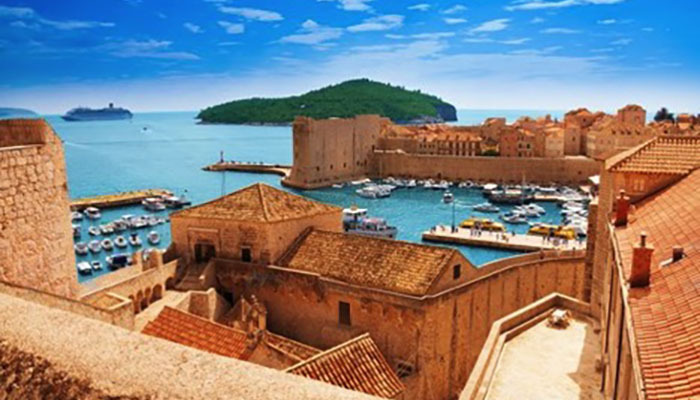 Speak to one of our Croatia experts about your next holiday now on 0208 004 2345.